N. 01/2014 - AMBITO TERRITORIALE DEL SETTORE DELLA DISTRIBUZIONE DEL GAS NATURALE ALESSANDRIA 4 - SUD EST. GESTIONE IN FORMA ASSOCIATA DELLA PROCEDURA AD EVIDENZA PUBBLICA PER L'AFFIDAMENTO DEL SERVIZIO DI DISTRIBUZIONE DEL GAS NATURALE E LA SUCCESSIVA GESTIONE DEL CONTRATTO. APPROVAZIONE DELLA CONVENZIONE. N. 02/2014 - POTENZIAMENTO DEL METANODOTTO “GAVI – PIETRALAVEZZARA”. ACCERTAMENTO CONFORMITÀ URBANISTICA, APPOSIZIONE VINCOLO PREORDINATO ALL’ESPROPRIO E DICHIARAZIONE DI PUBBLICA UTILITÀ EX D.P.R. 327/2001. PARERE DI COMPETENZA SU PROGETTO DEFINITIVO. N. 06/2014 - ESAME DELLA CONDIZIONE DEGLI ELETTI ALLA CARICA DI SINDACO E DI CONSIGLIERE COMUNALE A NORMA DEL CAPO II DEL TITOLO III DEL D. LGS. 267/2000 E DEL D. LGS. 39/2013 (ART. 41 COMMA 1 D. LGS. 267/2000). N. 07/2014 - GIURAMENTO DEL SINDACO (ART. 50 COMMA 11 D. LGS. 267/2000). N. 08/2014 - COMUNICAZIONE AL CONSIGLIO COMUNALE DELLA NOMINA DEI COMPONENTI DELLA GIUNTA (ART. 46 COMMA 2 D. LGS. 267/2000). N. 09/2014 - PRESENTAZIONE AL CONSIGLIO DELLE LINEE PROGRAMMATICHE RELATIVE ALLE AZIONI ED AI PROGETTI DA REALIZZARE NEL CORSO DEL MANDATO (ART. 46 COMMA 3 D. LGS. 267/2000). N. 10/2014 - DEFINIZIONE DEGLI INDIRIZZI IN ORDINE ALLA NOMINA, DESIGNAZIONE E REVOCA DEI RAPPRESENTANTI DEL COMUNE PRESSO ENTI, AZIENDE E ISTITUZIONI (ART. 50 COMMA 8 E ART. 42 COMMA 2 LETTERA M D. LGS. 267/2000). N. 11/2014 - NOMINA DELLA COMMISSIONE ELETTORALE COMUNALE. N. 12/2014 - INDENNITA DI FUNZIONE E GETTONI DI PRESENZA. DELIBERA INVARIANZA DI SPESA. N. 13/2014 - APPROVAZIONE DEI VERBALI DELLA SEDUTA PRECEDENTE. N. 14/2015 - COMUNICAZIONI DEL SINDACO. N. 15/2014 - ELEZIONE DEI COMPONENTI DI NOMINA CONSILIARE NELLA COMMISSIONE COMUNALE AGRICOLTURA E FORESTE. N. 16/2014 - ELEZIONE DEI COMPONENTI DI NOMINA CONSILIARE NELLA COMMISSIONE PER LA NOMINA DEI GIUDICI POPOLARI. N. 17/2014 - NOMINA DEI COMPONENTI DI COMPETENZA DEL COMUNE DI VOLTAGGIO IN SEDE DI CONSIGLIO DELL’UNIONE MONTANA VAL LEMME. PRIMA SEDUTA. N. 18/2014 - APPROVAZIONE DEI VERBALI DELLA SEDUTA PRECEDENTE. N. 19/2015 - COMUNICAZIONI DEL SINDACO. N. 20/2014 - NOMINA DEI COMPONENTI DI COMPETENZA DEL COMUNE DI VOLTAGGIO IN SEDE DI CONSIGLIO DELL’UNIONE MONTANA VAL LEMME. SECONDA SEDUTA. N. 21/2014 - MODIFICA AL REGOLAMENTO EDILIZIO DEL COMUNE IN MERITO A NOMINA E FUNZIONAMENTO DELLA COMMISSIONE EDILIZIA. N. 22/2014 - APPROVAZIONE DEI VERBALI DELLA SEDUTA PRECEDENTE. N. 23/2014 - COMUNICAZIONI DEL SINDACO. N. 24/2014 - “INTERPELLANZA PRESENTATA DAL CONSIGLIERE GIUSEPPE BENASSO” IN MERITO ALLA RIAPERTURA DEL CANTIERE COCIV”. N. 25/2014 - “INTERPELLANZA PRESENTATA DAL GRUPPO DI MINORANZA "VOLTAGGIO DA VIVERE‟. LEGALITÀ, TRASPARENZA, PARTECIPAZIONE GIUSEPPE BENASSO” IN MATERIA DI QUALITA' DELL‟ACQUA DELL'ACQUEDOTTO COMUNALE”. N. 26/2014 - NOMINA DEI COMPONENTI RAPPRESENTANTI DELLE MINORANZE IN SENO AL CONSIGLIO DELL'UNIONE MONTANA "VALLEMME‟. TERZA SEDUTA. N. 27/2014 - APPROVAZIONE DEI VERBALI DELLA SEDUTA PRECEDENTE. N. 28/2014 - COMUNICAZIONI DEL SINDACO. N.29/2014 - TASSA SUI SERVIZI INDIVISIBILI (TASI). ISTITUZIONE ED APPROVAZIONE DEL REGOLAMENTO COMUNALE PER LA RELATIVA DISCIPLINA, COMPRESA L'INDIVIDUAZIONE DEI SERVIZI INDIVISIBILI, IL PIANO FINANZIARIO E LA DETERMINAZIONE DELLE ALIQUOTE. N. 30/2014 - IMPOSTA COMUNALE PROPRIA IMU. DETERMINAZIONE DELL'ALIQUOTA E MODIFICA AL REGOLAMENTO COMUNALE PER LA RELATIVA DISCIPLINA. N. 31/2014 - APPROVAZIONE DEI VERBALI DELLA SEDUTA PRECEDENTE. N. 32/2014 - COMUNICAZIONI DEL SINDACO. N. 33/2014 - REGOLAMENTO PER LA DISCIPLINA PER L'ADDIZIONALE IRPEF: DETERMINAZIONE DELL'ALIQUOTA PER L'ANNO 2014. N. 34/2014 - REGOLAMENTO DELL'IMPOSTA MUNICIPALE UNICA I.M.U. MODIFICHE. N. 35/2014 - TASSA SUI RIFIUTI (TARI): ISTITUZIONE E APPROVAZIONE DEL REGOLAMENTO PER LA RELATIVA DISCIPLINA. 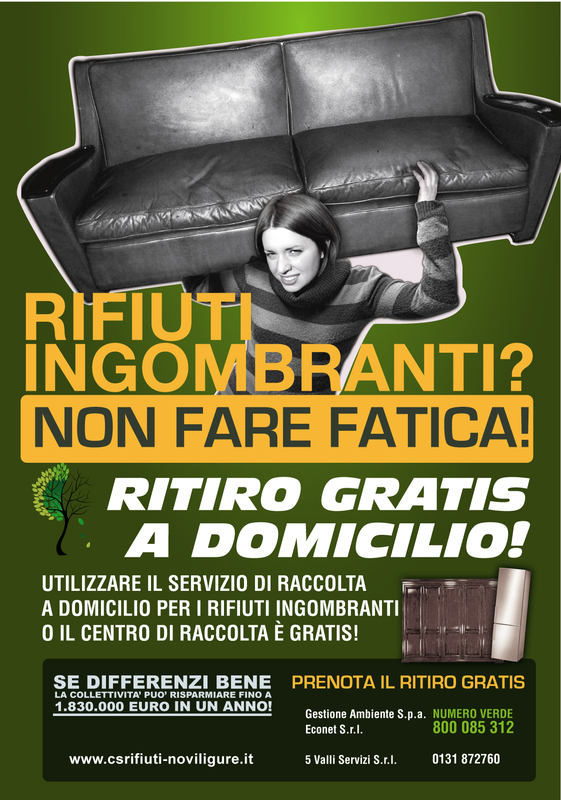 N. 36/2014 - TASSA SUI RIFIUTI (TARI): APPROVAZIONE DEL PIANO FINANZIARIO PER LA DETERMINAZIONE DEI COSTI DEL SERVIZIO E DELLE TARIFFE PER L'ANNO 2014. N. 37/2014 - PROGRAMMA ANNUALE DELLE CONSULENZE (ARTICOLO 3, COMMA 54, LEGGE 44/2007) PER L'ANNO 2014: APPROVAZIONE. N. 38/2014 - LEGGE REGIONALE 7 MARZO 1989, N. 15. DESTINAZIONE DI QUOTA PARTE DEI PROVENTI DI URBANIZZAZIONE PER EDIFICI ADIBITI AL CULTO. N. 39/2014 - BILANCIO DI PREVISIONE ESERCIZIO 2014 E BILANCIO PLURIENNALE ESERCIZIO 2014/2016. PROGRAMMAZIONE TRIENNALE ED ELENCO ANNUALE DEI LAVORI PUBBLICI. APPROVAZIONE ESERCIZIO PROVVISORIO. N. 40/2014 - COMUNICAZIONI DEL SINDACO. N. 41/2014 - INTERROGAZIONE PRESENTATA DAL GRUPPO CONSILIARE "VOLTAGGIO DA VIVERE" SUL SEMAFORO DELLA STRADA PROVINCIALE DELLA BOCCHETTA DI FRONTE ALLA EX CAVA CEMENTIR. N. 42/2014 - INTERPELLANZA PRSENTATA DAL GRUPPO "VOLTAGGIO DA VIVERE" SU VIALE DELLA RIMEMBRANZA (TRATTO DI STRADA COMUNALE TRA L'EX RICOVERO S. AGOSTINO E IL CIMITERO). N. 43/2014 - MODIFICA DELLO STATUTO DELL'UNIONE MONTANA "VAL LEMME". N. 44/2014 - ISTITUZIONE PER LA COMMISSIONE LOCALE PER IL PAESAGGIO AI SENSI DELL'ARTICOLO 146, COMMA 6 E 148 DEL D. LGS. 42/2004 E DELL'ARTICOLO 4 DELLA L.R. N. 32/2008 IN FORMA ASSOCIATA MEDIANTE DELEGA ALL'UNIONE "MONTANA VAL LEMME". N. 45/2014 - COSTITUZIONE DI SERVITÙ A FAVORE DI SNAM RETE GAS S.P.A. SU TERRENI DI PROPRIETÀ DEL COMUNE DI VOLTAGGIO IN RELAZIONE AI LAVORI DI "POTENZIAMENTO GAVI - PIETRALAVEZZARA" DN 600 (24") 75 BAR. N. 46/2014 - COSTITUZIONE DI SERVITÙ A FAVORE DI SNAM RETE GAS S.P.A. SU TERRENI DI PROPRIETÀ DEL COMUNE DI VOLTAGGIO IN RELAZIONE AI LAVORI DI "ALLACCIAMENTO AL COMUNE DI VOLTAGGIO" DN 100 (24") 75 BAR. N. 47/2014 - INTERVENTO DI RIQUALIFICAZIONE DEL COMPENDIO IMMOBILIARE DENOMINATO "EX RICOVERO SANT'AGOSTINO" E SUA DESTINAZIONE TEMPORANEA AD ACCOGLIENZA. N. 48/2014 - APPROVAZIONE VERBALI DELLE SEDUTE PRECEDENTI. N. 49/2014 - COMUNICAZIONI DEL SINDACO. N. 50/2014 - INTERROGAZIONE PRESENTATA DAL CONSIGLIERE GIUSEPPE BENASSO IN MERITO AI CORSI D'ACQUA INTERESSANTI IL CENTRO ABITATO DI VOLTAGGIO. N. 51/2014 - INTERROGAZIONE PRESENTATA DAL CONSIGLIERE GIUSEPPE BENASSO IN MERITO ALLA VASCA DI ACCUMULO PER L'ACQUEDOTTO COMUNALE. N. 52/2014 - INTERROGAZIONE PRESENTATA DAL CONSIGLIERE GIUSEPPE BENASSO IN MERITO ALLO SMARINO COME RIEMPIMENTO NEL TRATTO COMPRESO TRA LA COSIDETTA VIGNASSA E LA ROCCA DI VOLTAGGIO SUL LATO DESTRO.INTERROGAZIONE PRESENTATA DAL CONSIGLIERE GIUSEPPE BENASSO IN MERITO ALLO SMARINO COME RIEMPIMENTO NEL TRATTO COMPRESO TRA LA COSIDETTA VIGNASSA E LA ROCCA DI VOLTAGGIO SUL LATO SINISTRO. N. 53/2014 - INTERROGAZIONE PRESENTATA DAL CONSIGLIERE GIUSEPPE BENASSO IN MERITO ALL'EVENTUALE CONTRASTO CON IL CONTESTO PAESAGGISTICO DELLA ROTONDA CHE VERRÀ REALIZZATA ALL'INCROCIO DELLA TORRE. N. 54/2014 - INTERROGAZIONE PRESENTATA DAL CONSIGLIERE GIUSEPPE BENASSO IN MERITO ALLA PRESENTAZIONE AI CITTADINI DEI LAVORI STRADALI IN CORSO SULLE SP 160 E 163 (VAL LEMME E CASTAGNOLA). N. 55/2014 - BILANCIO DI PREVISIONE DELL'ESERCIZIO 2014. BILANCIO PLURIENNALE ESERCIZI 2014/2016. ASSESTAMENTO GENERALE. N. 56/2014 - SERVIZIO DI TESORERIA COMUNALE. APPROVAZIONE SCHEMA DI CONVENZIONE. N. 57/2014 - COMUNICAZIONI DEL SINDACO. N. 58/2014 - RIDETERMINAZIONE DELL'ALIQUOTA ADDIZIONALE IRPEF.